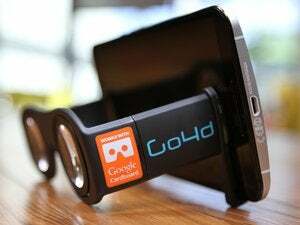 Remember Google Cardboard? 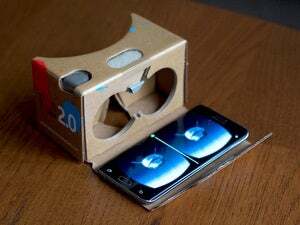 It's a Google project that uses a small cardboard contraption to effectively turn your smartphone into a basic VR headset. It's been sort of forgotten, but Volvo is putting it to good use to preview its new XC90 SUV. Volvo's XC90 preview—which the auto maker claims is "the first virtual reality test drive on your phone"—works in conjunction with a free smartphone app, which is available now for Android, and will arrive in the iOS App Store on November 18th. Volvo designed the app with a Google Cardboard viewer in mind, but says that you don't need the viewer in order to use the app. If you don't have a Cardboard viewer, you can make one using a large piece of corrugated cardboard and readily accessible items; Google provides a template as well as a materials list on its Cardboard website to help you get started. You can also just wait a few days: The Verge notes that Volvo will offer a Cardboard viewer starting Tuesday that you'll be able to order via the app. Why this matters: Sure, Cardboard seems kind of silly at first blush, but Volvo has shown that Cardboard—which seemed to be little more than a novelty—may have a place in the tech world after all. It isn't too hard to see how Google Cardboard could be taken a step further to make smartphone games and other apps that much more immersive and engaging.